Mission: To foster human and community development through community-based arts. Vision: To build a community where people have the opportunity to realize their creative abilities, interpret their culture and heritage through their own unique vision, and to cultivate and showcase the talent of residents living in San Antonio's West side. San Anto Cultural Arts organizes various events, including a Dia de los Muertos Barrio procession, mural tours, youth programming, and the Huevos Rancheros Fundraising Gala. San Anto Cultural Arts was originally established in 1993 by community youth and arts advocates Manuel Castillo, Cruz Ortiz, and Juan Miguel Ramos as a project of Inner City Development. San Anto Cultural Arts became an independent nonprofit in 1997. The target demographic of San Anto Cultural Arts is inner city youth ages 9-19, but its mission impacts the entire community as San Anto is an incubator for local artists. 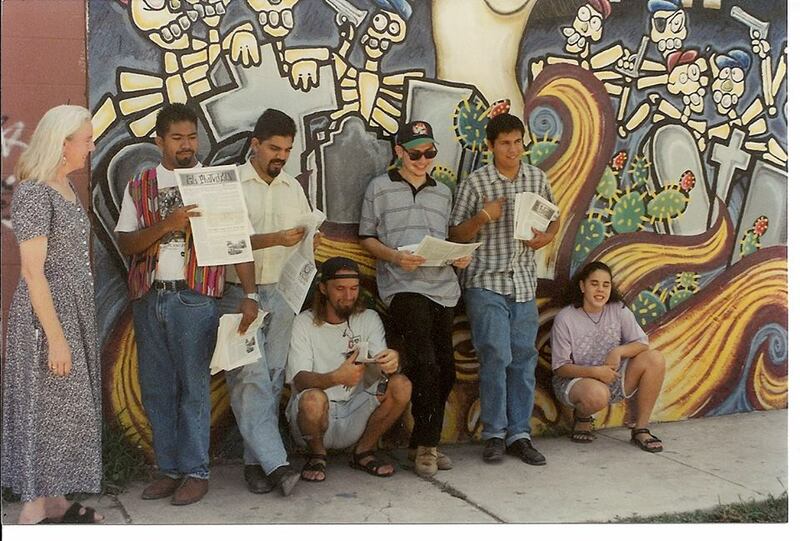 In San Anto's 23-year history, 55 murals have been created and over 210 issues of El Placazo have been published. Through mural painting, thousands of young people learn skills in design, drawing, and painting. Participants work alongside professional artists and learn problem-solving, the importance of creativity, and build self-confidence as they hone their skills and abilities. The murals produced by our program are public-art works, and many have become iconic symbols of the neighborhoods they represent. In 2017, San Anto Cultural Arts served over 300 youth, completed painted two new murals & published 6 issues of El Placazo. Currently, we have a 6 people on staff and 200+ volunteers; we commission 5-15 artists each year. Our long-term goals are to build stronger partnerships with the school systems and local government to create systemic change in our community.